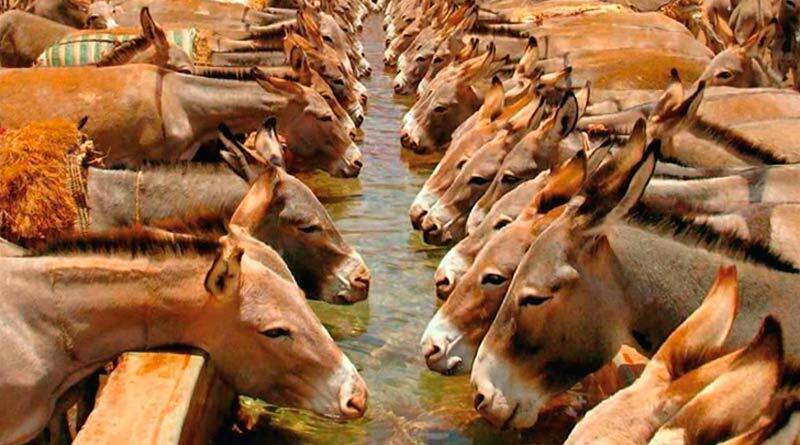 Pakistan: The Government of Khyber Pakhtunkhwa (KPK) has proposed a program to foster the breeding and export of donkeys to China. China is using donkey hides in manufacturing ‘high-value medicines’. The KP-China Sustainable Donkey Development Program proposes to ‘develop and enhance’ the donkey population for export to China. With an approximate investment of Rs1 billion, the aim of the project is to cultivate a livelihood for the local breeders and create a proper production channel which can ensure a regular and uninterrupted supply of donkeys to China, according to a KP-CPEC website. Earlier this year, the Ministry of Commerce had revealed that more than 141,000 donkey hides had been exported in a period of four years, spanning the years of 2011-2015. Reportedly donkey hides fetch anywhere from Rs18,000-Rs,20,000 per piece, especially on export to China.